Thanks to the SuperBowl this past Sunday, we got another look at Avengers: Endgame (or, at least, the first 20 minutes of it…). The Marvel Cinematic Universe’s Phase 3 Finale is the most anticipated movie of all time, and while fans are elated to get more footage, we now have more questions than answers. One of the biggest questions is, who is missing? 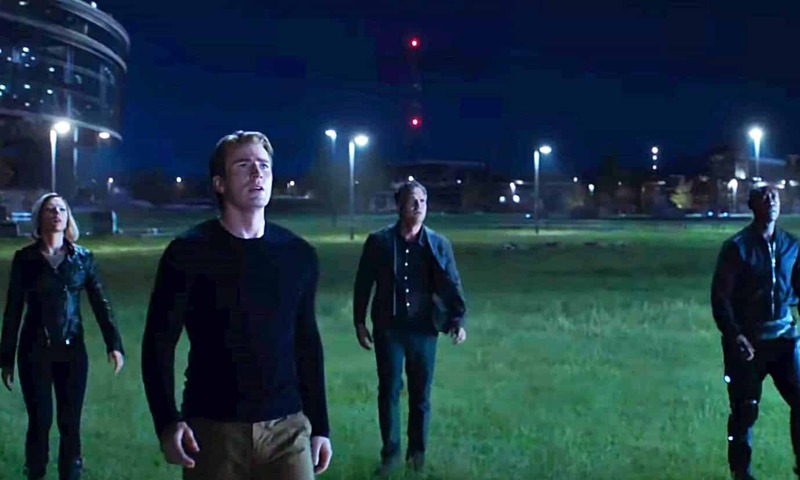 There is one particular moment in the new TV spot that shows the surviving Avengers peering up to the night sky outside of the Avengers HQ. In the shot, there’s a weird gap between Banner and Rhodes that has many people thinking that Marvel edited a person out of the shot. Several tweets pointed this out immediately. Some theories believe that the edited person is Captain Marvel herself, but I believe this may actually be the moment where the Avengers meet Carol Danvers, thus the skyward gaze. But, if that’s who they’re looking at, then who is missing? Well, the most likely options are either Scott Lang or Hawkeye/Ronin. I’m leaning towards the latter, as there doesn’t seem to be a point in removing Ant-Man from the shot. Ronin, however, is a character they’re still shrouding in secrecy. But, would they have already searched for and brought back Clint Barton within the first 20 minutes? Maybe. The film could very well start with Black Widow on a mission to find survivors, whilst Cap deals with his guilt. As seen in the trailer, Black Widow continues to train and stay sharp while Rogers goes to group therapy, so she could very well be searching for Ronin as the film begins. Regardless of who is edited out, we do know that Marvel is notorious for editing characters in and out of their trailers, so there is definitely some validity of this being a possible missing character. We actually won’t know, though, until Avengers: Endgame hits theaters on April 26th. Who do you think has been edited out of the trailer? Let us know in the comments below!